You use your neck more than you think. 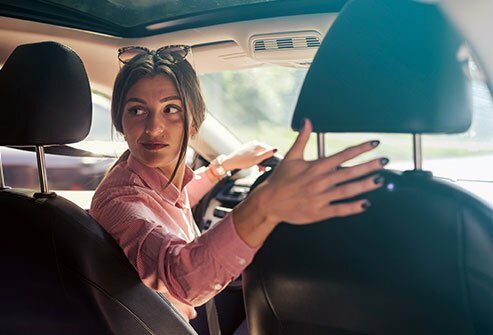 Every time you drive, look over your shoulder, or talk to a group of people, your neck goes to work, bending your head anywhere you need to face. While you normally don’t notice your neck in action, when it is in pain, your neck becomes a very noticeable body part. The question of why you experience neck pain can have a variety of answers. It could be the way you sit at work, how you sleep, or the natural degeneration of aging. We’ve gathered some of the most common causes of neck pain in the following article, along with treatments that can offer pain relief when you need it most. At one time or another, nearly everyone has fallen asleep in an unpleasant position. Sometimes you start out that way, or sometimes the twisting and shifting you do while asleep leaves you in pain. 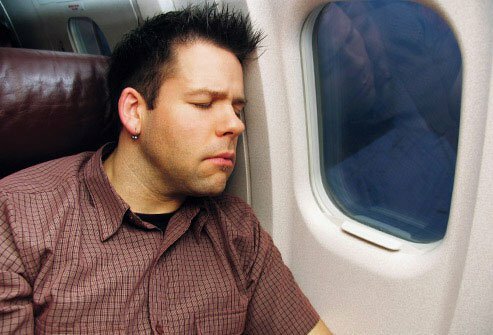 Whether it’s on an airplane, in the car, or in your own bed, when you fall asleep in a way that bends your neck uncomfortably, you may wake up with a crick. The good news is that this cause of neck pain is usually not very serious. There are better and worse sleep positions for your neck. One of the worst is sleeping on your stomach. When you sleep this way, your back arches, and your head has to twist to the side to allow you to breathe. This puts extra pressure on your neck and shoulders and can lead to pinched nerves. You may not be able to do anything about the position you end up in while sleeping, but you can start your evening in a healthier sleep position. If your body is comfortable from this position, you may be less likely to move to an uncomfortable position in the middle of the night. When sleeping on your back, you naturally relieve the pressure that other positions can place on your spine. You can improve this natural advantage by choosing the right pillow. Back sleepers should choose a flat, soft pillow that is rounded for the space left open beneath your neck, providing it support. 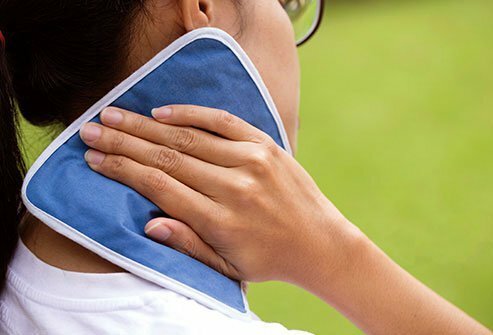 If your pillow doesn’t come with this type of neck support, you can tuck either a neck roll or a rolled-up hand towel into your pillowcase for the same kind of support. You can also use a feather pillow, which conforms to the space left between your neck and your mattress. Feather pillows break down over time, so if you choose this option, be prepared to replace your pillow every year or so. Watch out for pillows that are too high or too stiff—these can overextend your neck and cause pain. Side-sleepers should choose a pillow that is higher in the neck than the head, which will keep your spine aligned in a more natural position. A traditional pillow can work too if it’s made of memory foam, which allows your head to sink in while still providing neck support. If you do happen to wake up with a sore neck, an over-the-counter pain reliever along with rest should take care of it. Have you been looking up more than usual? 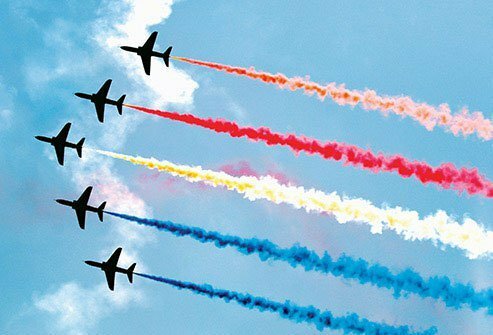 Maybe you were bird watching, stargazing, or taking in an airshow. Whatever the reason, if you hold your neck in an unusual position for very long, you’ll be using your muscles in a way they aren’t used to. That leads to predictable discomfort the next day. For starters, don’t hold your neck in positions it isn’t used to unless absolutely necessary. When it is necessary, try to take frequent breaks with stretching and moving your neck in other directions. This will help keep your muscles loose and relaxed. Those tips are good for preventing strains in the neck. But what if you’re already in pain? Try to give your neck as much rest as possible. While you rest, use over-the-counter pain medicine to relieve the agony. If it still hurts after a few days or you find your mobility is limited, tell your doctor. Go to any bus stop or waiting room in America, and you’ll see it. People with shoulders slumped forward, necks down, noses in their cell phones. Perhaps the latest cause of neck pain, so-called “text neck” is a repetitive strain injury that can add stress and pain to your shoulders, lower back, and, yes, your neck. This cause of neck pain is unusual in that it affects younger people more than older people. 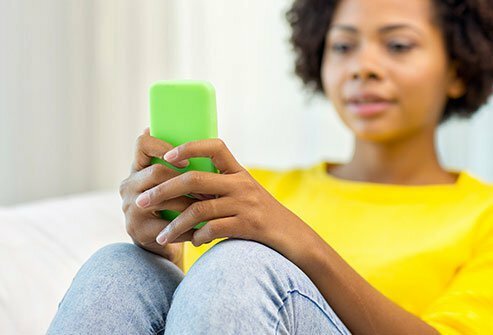 While your phone gets all the blame for this ailment, it’s not the only culprit. Anytime you spend long periods hunched over, whether on the phone, at your computer, or at a workbench, you stand the same risk. 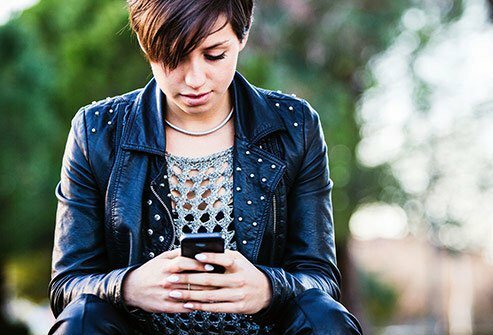 To ease text neck, start with your posture. Straighten up your neck and back so that your spine is aligned. Your ears should be directly over your shoulders while you stare at your phone. You can improve your posture with a simple stretch; arch your upper back and neck backward, which will tuck your shoulders back as well. This can relieve the pain and stress that heavy cell phone use can cause. Finally, try lifting your smartphone to eye level. By looking forward rather than down, your neck won’t feel the strain as your head drops. If you play contact sports, sooner or later you’ll end up with a stinger. That’s the slang term for the shooting pain—almost like a lightning bolt—you might experience when you are hit in the nerves of your shoulders or neck. These usually go away after a few moments, but sometimes stingers last for days. Football tackles are the No. 1 cause of stingers, sometimes also called “burners.” They occur when a cord of nerves that runs from your shoulder to your neck called the brachial plexus is injured. Some people get them from spinal stenosis as well. And they can leave your arm weak and numb. Usually the pain and numbness of a stinger goes away after a few seconds to a minute or two. But itthey can linger, lasting for days in some cases. If this is true for you, or if you have received many stingers over your life, you should see a doctor. A doctor will test you to determine how much pain your neck is inyou have, how much weakness the injury has caused, whether or not both arms are affected, and how many stingers you’ve accumulated over your life. You will then be given a recommended course of treatment. If your stinger injury has lingered, your doctor will probably tell you to discontinue your sport until your symptoms have completely cleared up. Physical therapy can be a useful tool to regain your range of motion and strength. Recurrent stingers may require extra protective gear, such as special shoulder pads for football players. If you’ve been hit from behind by another car, you may develop whiplash. 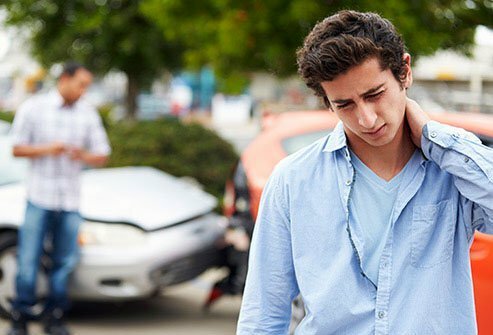 Whiplash is caused by blunt force from behind, and is most commonly a result of auto accidents. 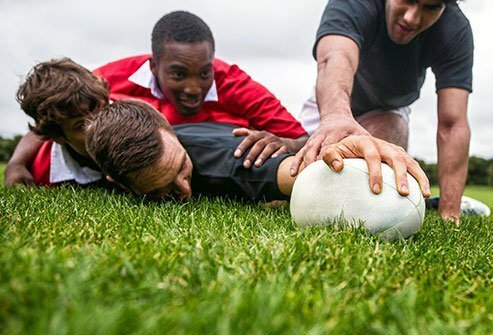 Other injuries can cause them it too, such as being tackled from behind. The name comes from the whip-like motion your head makes as it jerks forward and quickly back. That whipping motion can stretch and sprain the soft tissues in your neck. Symptoms of whiplash can come on gradually over the course of several hours. They include neck pain and stiffness, shoulder and arm pain, and spasms in your shoulders. You may also experience headaches, and some develop memory loss, dizziness, exhaustion, and other symptoms as well. Whiplash often gets better on its own after a few weeks or months have passed. Troublesome cases can last much longer, though. There are ways to ease the pain while your body recovers, as well as relieve any stiffness your injury has caused. After the initial acute symptoms are gone, you should be moving your neck, and avoid keeping it in the same position for too long. 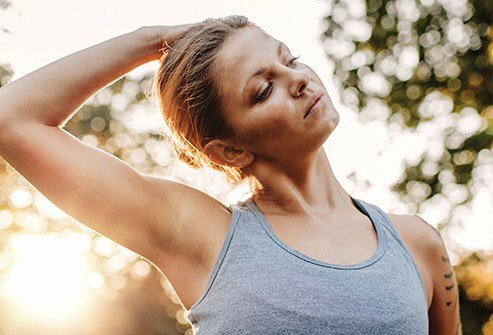 Although moving your neck is likely to be painful, movement is also what will help you recover more quickly. Don’t worry about doing greater damage—the damage is done at this point, and even painful movement will help you get better. That’s why doctors typically discourage using collars or braces that restrict movement, although they may be recommended for short-term use in some cases Try to remember this when you sit or lie down. Exercises are available that can help hasten recovery as well. While the movement can be painful, there are remedies for your pain. You can try either cold or warm compresses. Using a pillow firm enough to support your neck is encouraged. Keep your posture in line and remain upright whether you’re walking, standing, or sitting still. Gentle neck massages can help, too. When these at-home remedies aren’t enough, painkillers can help. Ibuprofen is good for relieving inflammation and pain. Sometimes over-the-counter pain relievers don’t do enough to stop severe pain. If that’s true in your case, talk to your doctor about prescription painkillers. Slipped disks in your spine are a common cause of neck pain. 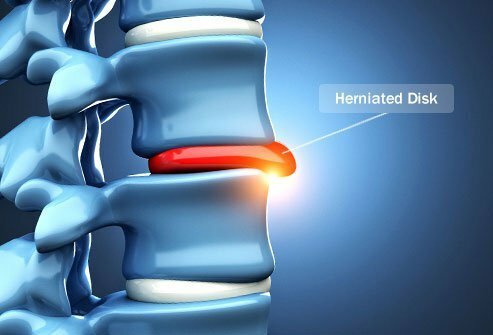 Also called herniated disks, slipped disks occur when the spongy pad between the hard bones of your spine ruptures and its jelly-like substance leaks. That places pressure on your spinal nerves, which are very sensitive to even light pressure. The result is typically pain. If the disk that has slipped is part of your neck, it can lead to pain, weakness, and numbness in your neck and arms. You may experience this as a burning pain. If you suspect a spinal disk has ruptured, you should see your doctor for a diagnosis. Your doctor will want to know your medical history and will perform a physical exam. If your doctor suspects a herniated disk, he or she may want to follow up with an MRI scan to confirm. Treatment may involve a combined approach using medicine and rest. Rest is important, as overusing the affected areas can cause your pain to return. When you do move, try to make your movements slow and controlled. That’s especially true when you need to lift something or bend over. While resting the area is key, you will want to avoid sitting for long periods. Your doctor may recommend short walks. Traction may be used as well. Medicine can range from over-the-counter painkillers to prescription muscle relaxers and pain medicine. Work with your doctor to find the combination that works best for you. Although surgery is not usually needed, some people with slipped disks will need an operation. That’s usually only recommended after other procedures have failed to ease symptoms. The surgery is called discectomy and fusion. In this procedure, the whole disk is removed, and bone is fused in its place. Is it Cervical Spinal Stenosis? Spinal stenosis refers to a narrowing in your spine that pinches the vulnerable nerves in and around your spinal cord. When this occurs in your neck, it is called cervical stenosis. As you age, your risk of developing spinal stenosis increases; aging can cause bone spurs that narrow the spinal column. Only rarely do people under age 50 develop this condition, and when they do, it is usually the result of an injury. When you have neck pain, it is most commonly due to degeneration in your spine. Stenosis is one of the most serious consequences. Neck pain is only one of the symptoms. You may also find that your legs are weak and you may lose control of their movement, making it difficult to walk. You may find that your arms or legs become numb. You could also lose your “position sense,” which is the innate sense of where your limbs are when your eyes are closed. 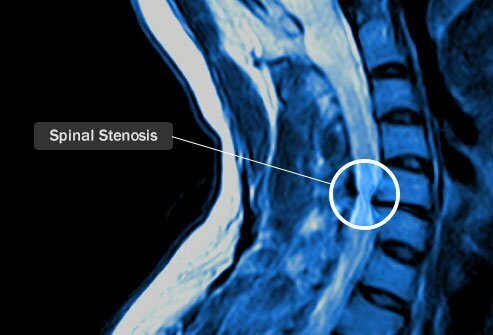 Cervical stenosis should be treated by a doctor. 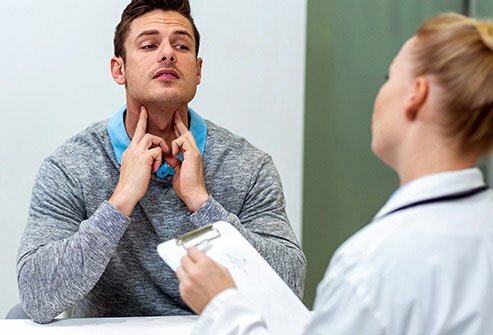 When preparing for your doctor’s visit, think about your neck pain and other symptoms. When did they start? What is the pain like? How often do you experience this pain? What are you doing when you feel your symptoms? Also think about any health problems you have that may be related, such as trouble with your arms, legs, or bowel or bladder control. After reviewing your medical history and giving you a physical exam, your doctor may take images of your spine via MRI scan or x-ray. Once a diagnosis has been made, surgery is often the best option. There are several types of surgery available for this condition, and you will want to discuss your options with your doctor. Bone spurs are smooth growths that develop as you age. They develop as your spinal discs wear down, causing the ligaments that hold them together to loosen. This wear can be the natural effect of aging, but it can also be hastened by arthritis. Osteoarthritis is the leading cause of bone spurs. As your ligaments loosen, they may compensate for the instability this causes by thickening. Thickened ligaments can start to form new bone that puts pressure on your spinal nerves. 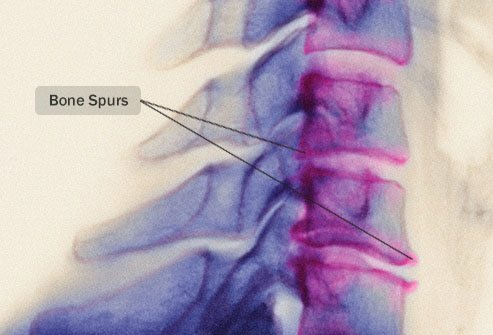 These bone spurs can cause tenderness in your joints and neck muscles, as well as inflammation. Nonsteroidal anti-inflammatory drugs (NSAIDs) such as ibuprofen (Motrin, Advil), naproxen (Aleve), and aspirin. These can ease pain, relax muscles, and reduce swelling for a month to a month and a half. Physical therapy for improving strength, flexibility, and posture. 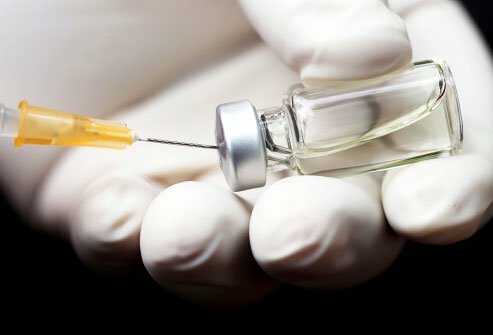 Steroid shots, which reduce pain and swelling in the joints. Only three of these can be safely taken per year, and their effects are temporary. While these treatments may be enough, more serious cases of bone spurs could require surgery. Spinal tumors affect about 10,000 Americans every year. They can form in the neck or anywhere else along the spine. These tumors can be cancerous or benign, but even noncancerous tumors can pose serious health risks as they press against the spine. In many cases, spinal tumors start somewhere else in the body and spread (metastasize) to the spine. Although the causes of spinal tumors are not fully understood, having a family history of certain disorders elevates your risk. These include immune system disorders, Von Hippel-Lindau disease, and neurofibromatosis type 2. Although rare, these tumors can be passed down from generation to generation. Genetic testing is available to screen for this possibility. 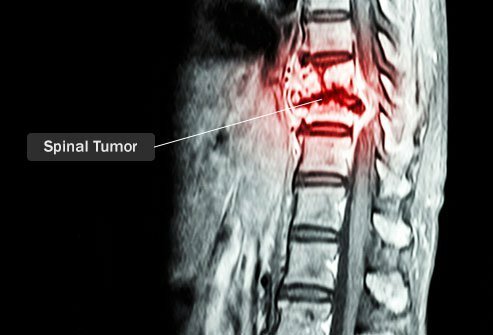 How Are Spinal Tumors Treated? Corticosteroids may be administered to reduce swelling. This can relieve pressure if part of the tumor is pressing against the spinal cord. Surgery. 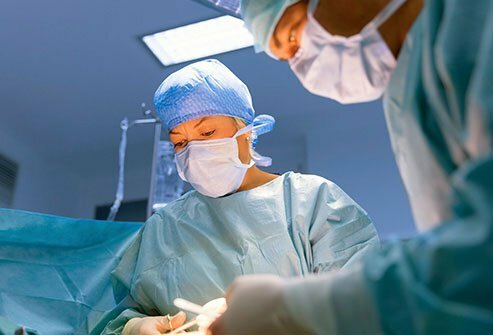 A skilled surgeon can remove some spinal tumors. Radiation. If surgery is unable to remove the entire tumor, radiation may be used to relieve more pressure. Chemotherapy. 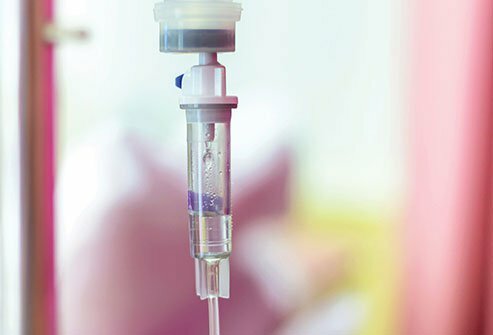 For cancerous tumors, chemotherapy may be ordered. These cancer-killing drugs may be given through injection or orally. Targeted therapies attack cancer cells specifically, and are useful for certain spinal tumor types. Proton therapy. This procedure focuses powerful radiation on the tumor directly. Doing this eliminates damage to healthy cells. Just by getting older, your neck becomes vulnerable to degenerative disk disease. The wear and tear of aging can cause the fibrous disc between your backbones to thin, crack, or dry out. This problem and the symptoms it causes are referred to as degenerative disk disease. But when it does cause pain, degenerative disc disease can bring other problems as well. Your back’s discs can herniate or bulge, and they can cause bone spurs as well. Symptoms may include weakness and numbness in the arms and legs. It can also compress your spine, which can cause you to lose bowel and bladder control. Pain from disc degeneration in the neck tends to be worse when you move your head or stand or sit upright. You also may experience burning or tingling. What do you do if the discs in your neck are causing pain? It turns out you have several options. To begin with, try to avoid postures that cause you pain. A neck brace can be helpful in this way. There are other ways to relieve this painful condition, such as painkillers, epidurals, and anti-inflammatory drugs. When these approaches fail, surgery may be necessary. Traditionally this has meant spinal fusion, in which rods, screws, and bone grafts are used to secure the spine after the affected disc is removed. This approach has the downside of often accelerating the degeneration of nearby vertebral discs. Cervical disc placement is a newer approach that carries less risk of impacting nearby backbones. National Health Service: “Treatments for whiplash," "Whiplash." Spine-Health: “How to avoid text neck overuse syndrome,” “Neck exercises for neck pain,” "Neck pain causes." 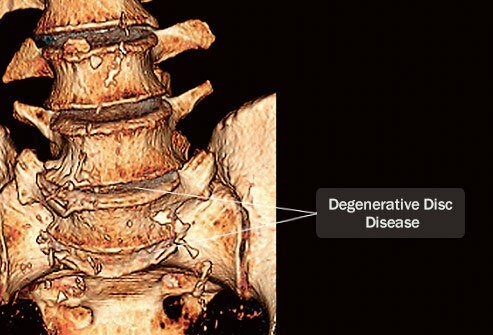 The Spine Hospital at the Neurological Institute of New York: “Degenerative disc disease,” "Spinal stenosis." University of Maryland Medical Center: “Cervical spinal stenosis,” "Neck pain overview."